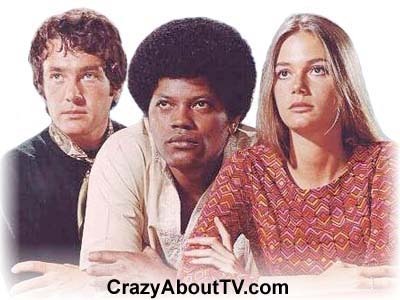 The Mod Squad TV show was a 60 minute crime drama series on ABC about three young people who got in trouble with the law and ended out on probation. They all agreed to help the police form a special youth squad that could go undercover into situations where adults were preying on kids. The Mod Squad's creator was Buddy Ruskin. Buddy got his inspiration for the Mod Squad from his days as a Los Angeles Sheriff's Department officer who had worked with their special youth narcotics squad. Pete Cochran's car was a 1950 Mercury Woody station wagon. In episode #35, "The Death of Wild Bill Hannacheck", the old car burned up! 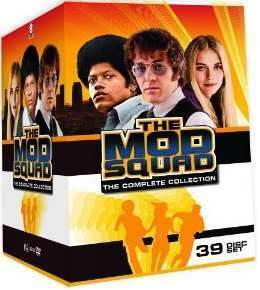 If you wanted to see a series that took the 60s culture to the extreme, The Mod Squad was the show for you! Bell bottom jeans with flowers sewed on, lava lamps, afro haircuts, and everything else was "groovy" "man"! Even the show's organ music was played in a very hip, psychedelic manner! The Mod Squad was nominated for an Emmy in 1970 for "Outstanding Dramatic Series" but "Marcus Welby, M.D." won the award. The only one of the four main Cast who got a regular role on another series after The Mod Squad was Peggy Lipton who played "Norma Jennings" on the series, "Twin Peaks". Tige Andrews did have a couple of other series before The Mod Squad, however. Those roles were "Private Gander" on "Sergeant Bilko" (aka: "The Phil Silvers Show") and "Detective Lieutenant Johnny Russo" on "The Detectives". Thank you for visiting our Mod Squad TV show page!